The picturesque village of Mylopotamos (which is Greek for “mill at the river”), is located in the middle of a green and watery area in the centre of the island. A stream meanders through the village and, near the square with the beautiful church and plane trees, you will find the famous Kythira waterfall. In old times, there were about 23 mills in this enchanting setting and, following the steam, you will come across the ruins of some of them. 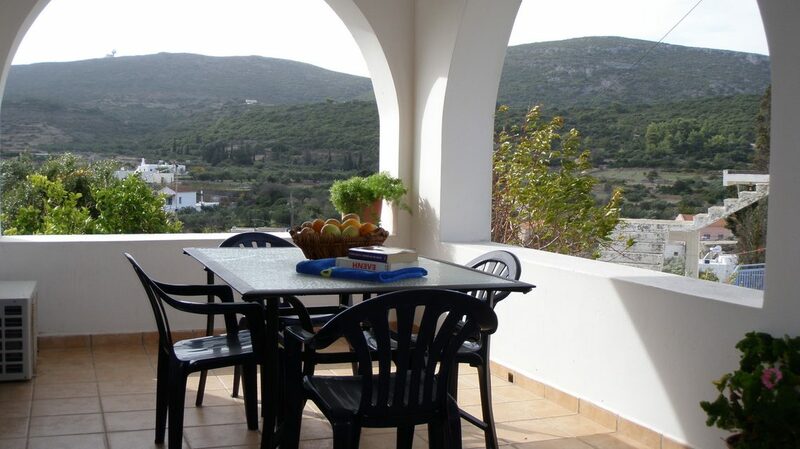 At walking distance from Mylopotamos, you will reach Kato Chora, a Byzantine settlement. On top of the plateau, surrounded by impressive gorges, are ruins and restored Byzantine churches. From this spot, the sunset is always stunning, every single evening. 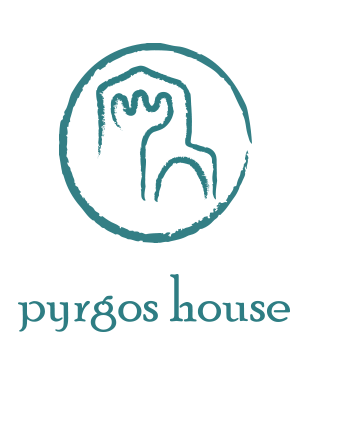 Mylopotamos has two taverns, a small grocery shop and a café bar. In low season, the village is quiet with only occasional walkers and nature lovers. During the summer months, on the village square, you will hear the buzz of tourists who, sitting under the plane trees, enjoy the coolness and the Greek village life. Given the central location relative to other villages and the beaches, we recommend you to rent a car in order to enjoy Kythira even more. 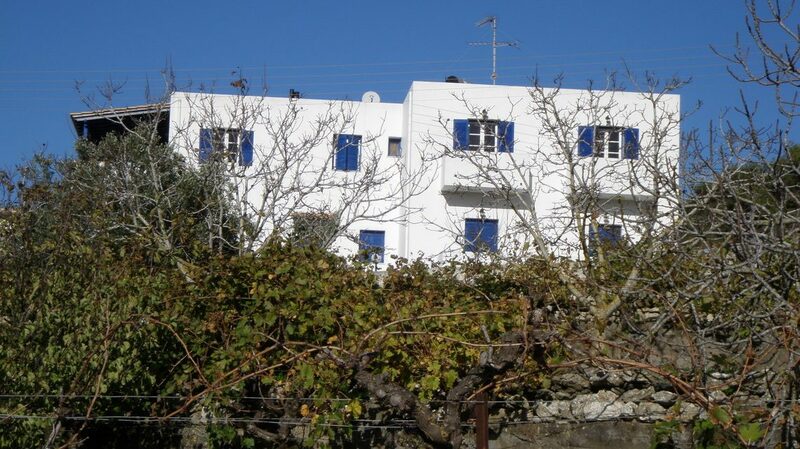 The nearest beach, Limnionas, is 7 kilometres away and is reached by a good scenic coastal road. 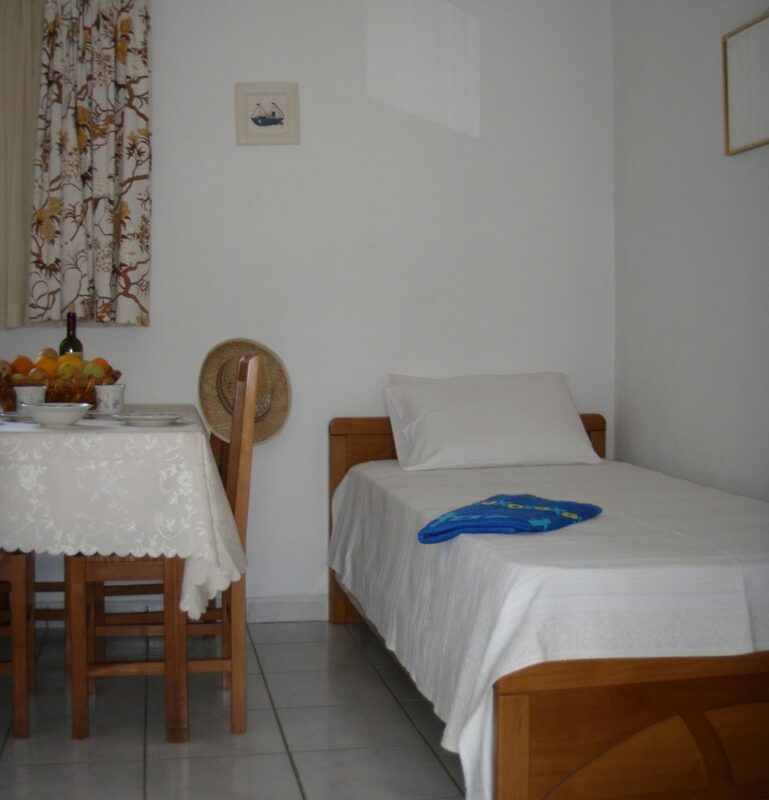 The Iota Apartments are located right at the entrance of Mylopotamos. 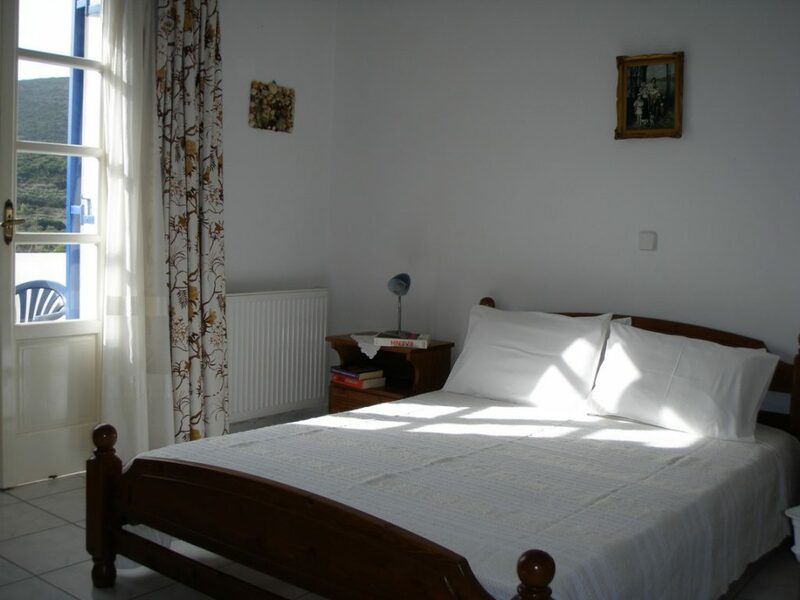 They are in a small and homelike accommodation, situated amidst a well-kept and shady garden. 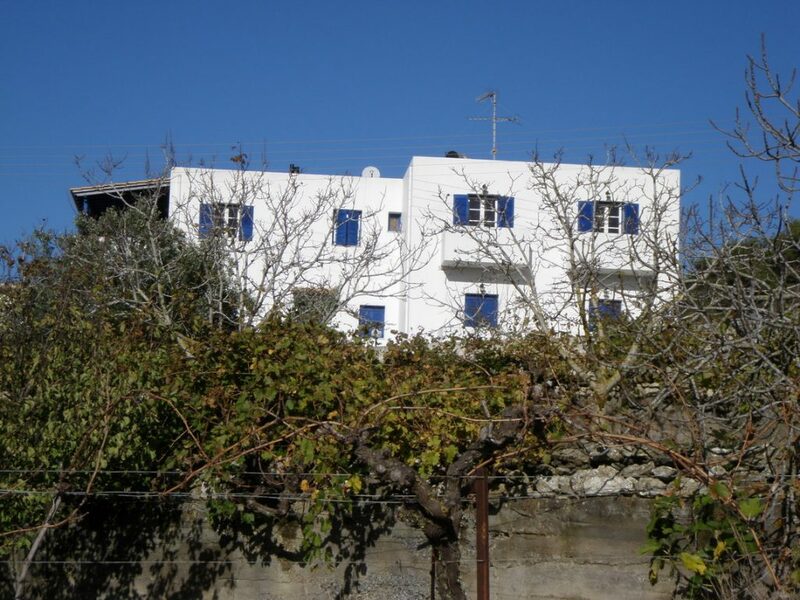 The owner Iota lives in the property and, apart from Greek, speaks English. 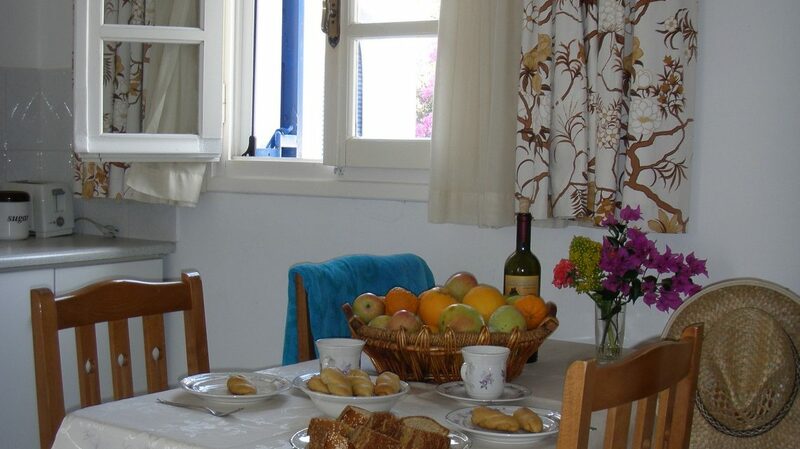 With her customary hospitality, Iota makes sure that you immediately feel at home and that your stay is complete. 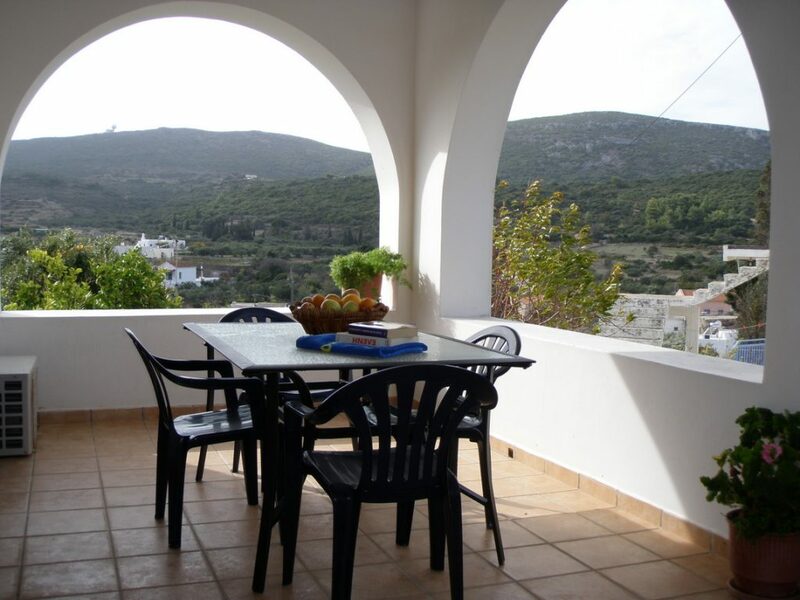 The Iota Apartments are comprised of three apartments, each with its own balcony overlooking the garden. Every apartment has a separate bedroom and a living room / kitchen. 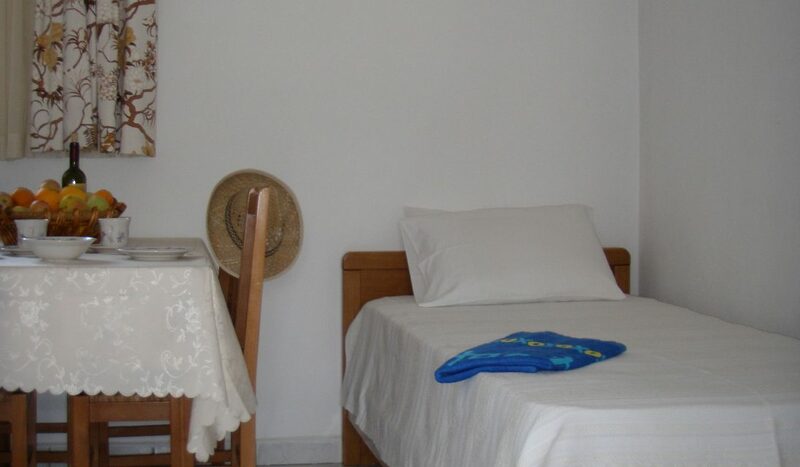 Two apartments are suitable for three people because, as well as a double bed in the bedroom, there is also a single bed in the living room / kitchen. The third apartment has two single beds. 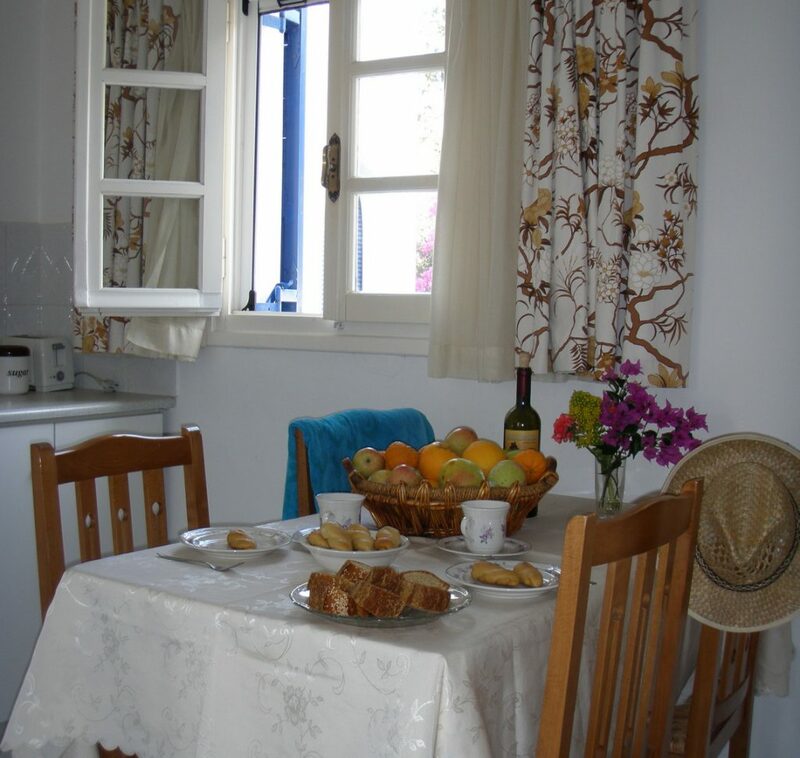 All apartments have a well equipped kitchen, air-conditioning, central heating and television. The bathroom has a shower, toilet and wash stand. 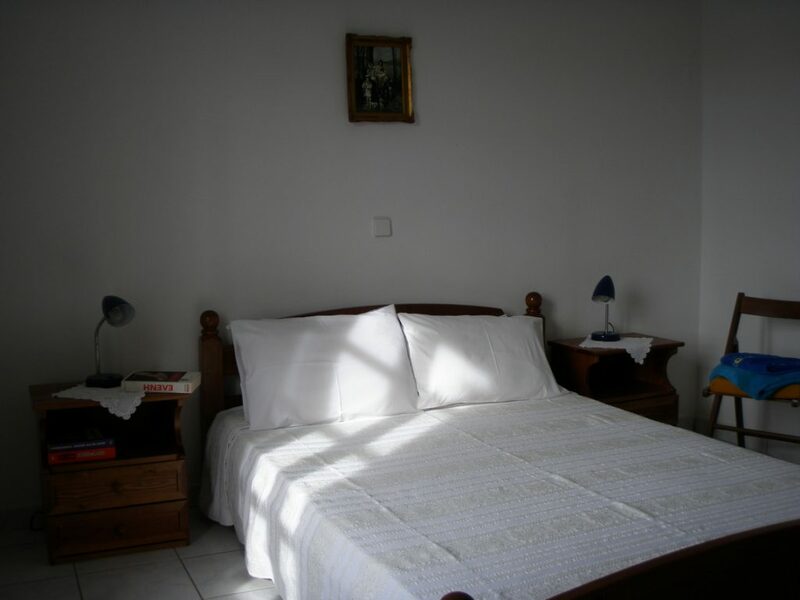 For a third person, the price is an extra € 10,00 per night. 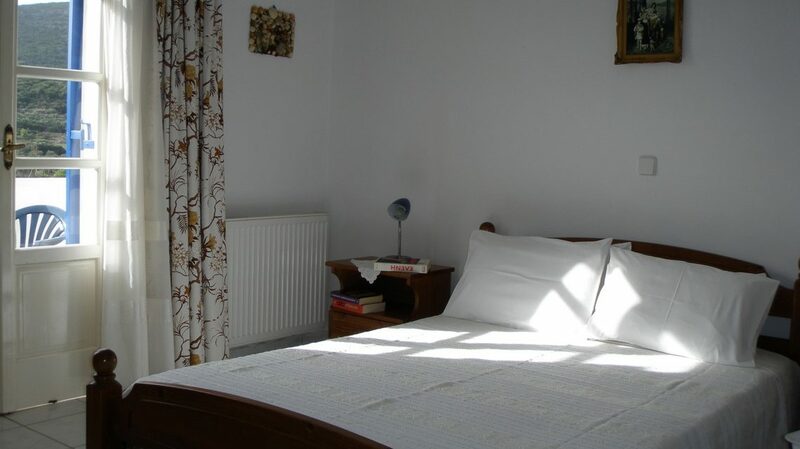 Prices are inclusive of air-conditioning, heating, cleaning and change of towels and bed linen. 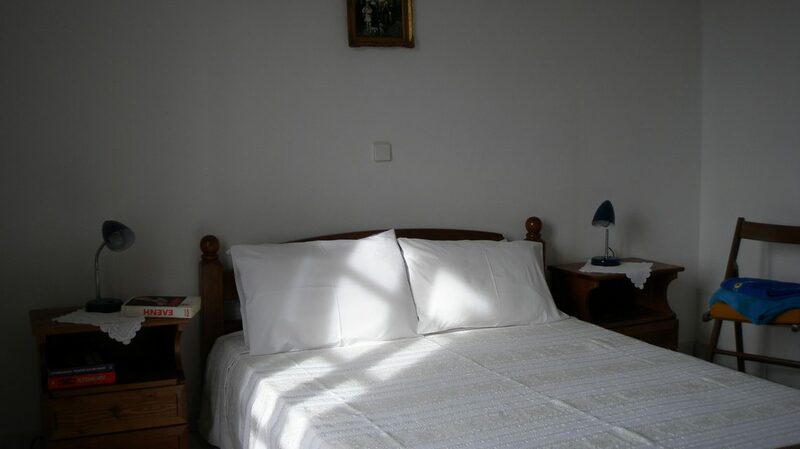 Cleaning is on a daily basis with the towels and bed linen being changed every three days.